We did this craft at the Library a couple weeks ago. 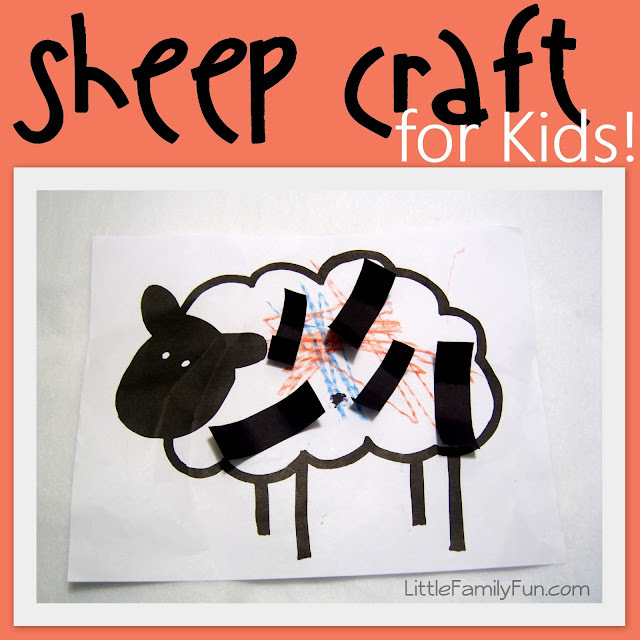 They recited the Nursery Rhyme, "Baa Baa Black Sheep" and the kids made their own black (and other colors) sheep. The sheep outline was printed on paper, or you could draw your own. then the kids curled little strips of black construction paper around the crayons and glued them on. This is a fun craft for spring and Easter too!